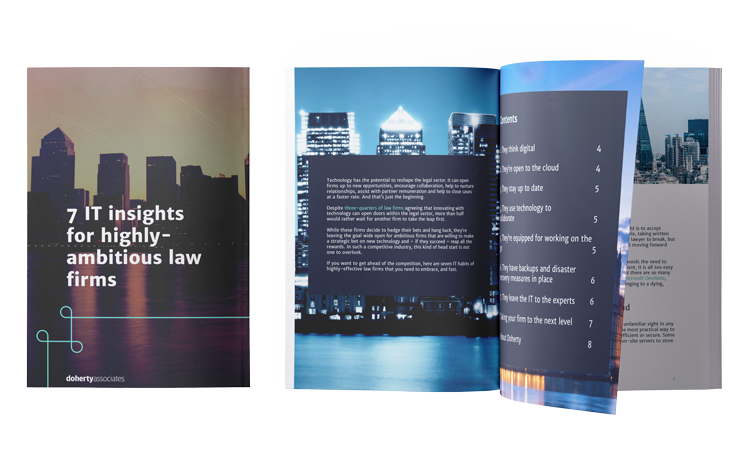 And discover the 7 IT insights for highly-ambitious law firms. Three-quarters of law firms agree that innovating with technology can open doors within the legal sector. As a law firm, it's up to you to get ahead of the competition and bring your business into the digital age. If you're not keeping up with technology, you're falling behind. Can you afford to lose out?